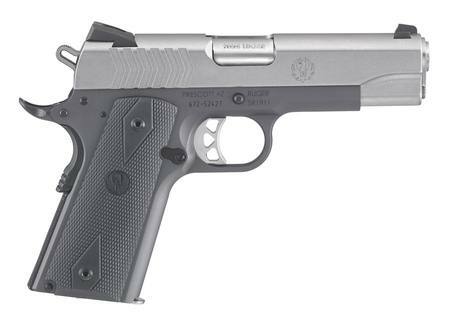 Ruger SR1911 Commander 9mm Stainless 4.25"
Features a lightweight, anodized aluminum frame. Accepts standard, aftermarket 1911 parts and accessories. Also includes: Two 9-round stainless steel magazines; bushing wrench.